Pucker up and enjoy the taste of childhood while crunching on some nerd sours. 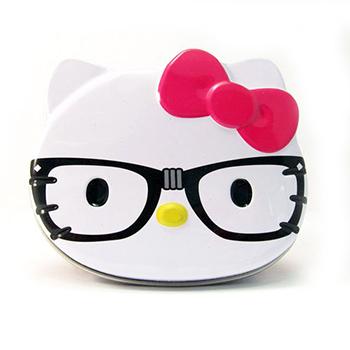 These sweet/sour wonders come in a cute Hello Kitty tin perfect for Hello Kitty fans. Dextrose, maltodextrin, citric acid, magnesium stearate, artificial flavor and artificial color FD&C blue #1.